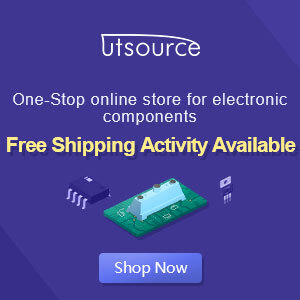 Subwoofer controller uses a single IC TL072, one channel (U1A) is used as a mixer channel Left & Right and also as a buffer for the channel U1B so that the controller is not affected by impedance input that may vary in value, and other channels (U1B) is used as a controller. 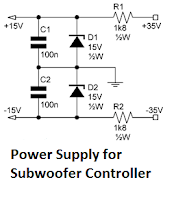 In the controller, there is a maximum gain in the frequency of ~ 80Hz at 10dB. These frequencies are (80Hz) chosen for around 80Hz frequency is the beat / bass punch feels more. If strengthening Bass + 10dB is too high, replace the value of R5 with a lower so strengthening Bass its drops, for example, change it to 47k the gains fell to + 8dB. Capacitor C1 is used to cut frequencies below ~ 31Hz so did not join because it winds strengthened without audible to us, just waste - waste of power only. apakah ini bekerja seperti subwoofer filter 4558?